Brad is excited to introduce social media phenomenom Alex Aiono to auspOp! Boasting more than half a billion YouTube views, more than ten million social media followers and 150 million streams, Alex has accomplished more at the age of 22 than most artists will in a lifetime. Signed to Interscope Records (alongside Lady Gaga, U2 and Eminem), Alex visited Australia for his first ever promo trip and to play to a sold out show at Sydney’s Oxford Art Factory. Most known for his extremely popular ‘flipped’ covers on YouTube – including a mashup of Drake’s ‘One Dance’ with Latin hit ‘Hasta el Amanecer’, Alex has broken out with original music, dropping six singles since being signed in early 2017. Brad and Alex’s favourite of these singles is his latest, ‘Thinking About You’. Whilst upbeat in nature, Alex reveals the irony in feeling the pain of heartbreak when writing the single and making the tough decision to break up with someone you care for. So Brad decided to talk about a song more positive in nature… Alex’s collaboration with German DJ Felix Jaehn, ‘Hot2Touch’. 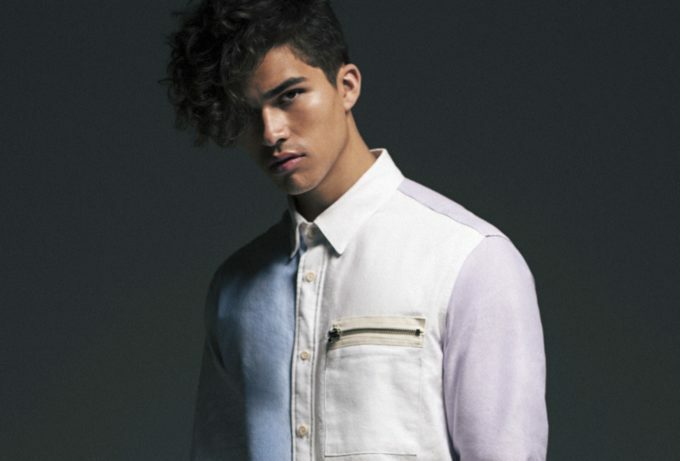 Alex reveals Felix sought out him after seeing his YouTube a cover of Omi’s ‘Cheerleader’. Playing in to Valentines Day and the spelling of Alex’s last name, Brad thought it would be fun to play a game of ‘A-Okay or Aio-No!’. Alex hilariously reads out pickup lines Brad had prepared for him and Alex had to assess whether they were ‘A-Okay’ or an ‘Aio-No!’. Alex is a good sport in reading out some awful and corny pickup lines as well as a lyric of his own.